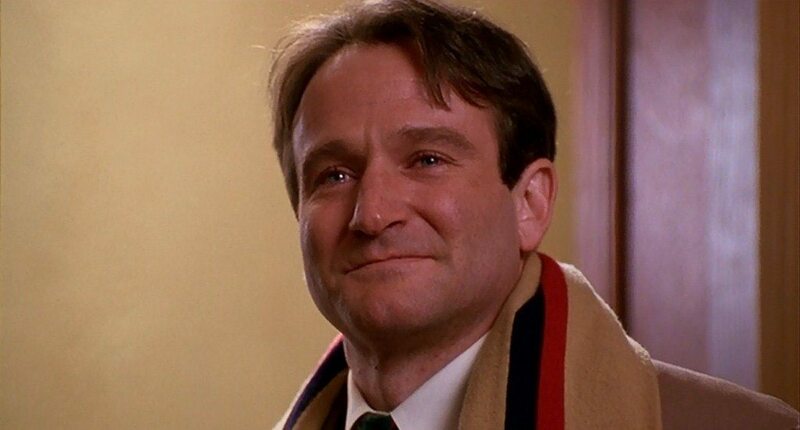 'Dead Poets Society' is the Best Coming of Age Movie Ever Made. Here's Why. 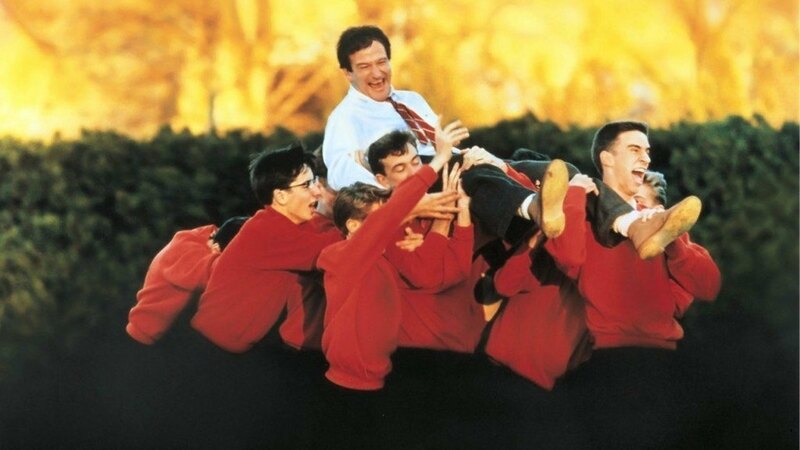 ‘Dead Poets Society’ is the Best Coming of Age Movie Ever Made. Here’s Why. It wouldn’t be an exaggeration to say that movies have impacted us deeply on personal and societal levels. This can be seen in the decline of beach visitors following the release of ‘Jaws’ and the nightmares children and a lot of adults had involving dinosaurs after ‘Jurassic Park’. But some movies hit us deeper in our hearts. They have characters we relate to or those we aspire to become. When we watch these movies, they inspire introspection. One such movie is ‘Dead Poets Society’. The Oscar-winning screenplay written by Tom Schulman, directed by Peter Weir and with a great performance by Robin Williams at its center, it can be considered a classic which it is but it holds much more than that in its core. 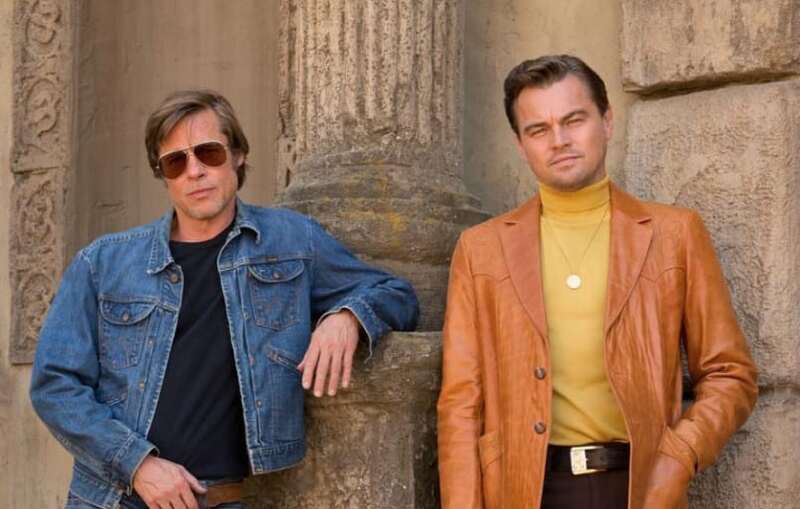 It is true that coming-of-age movies have a limited life. It holds an important place in the hearts of the kids who were growing up then. This means that after a decade or two, they become irrelevant. 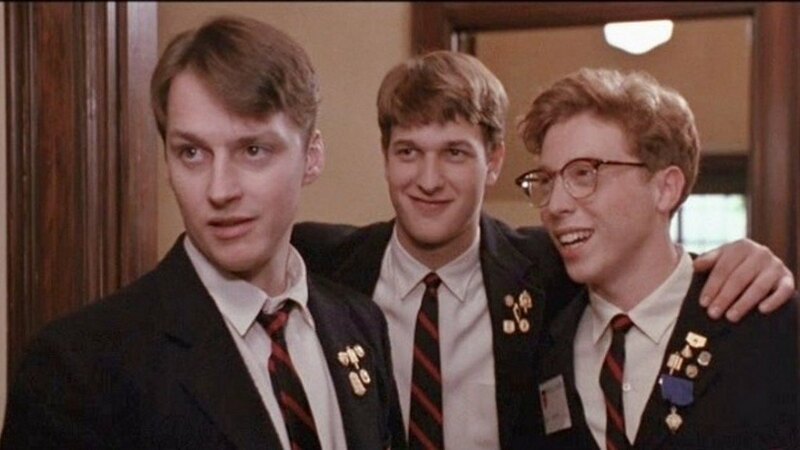 While we do regard ‘Ferris Beuler’s Day Off’ and ‘The Breakfast Club’ as classics we don’t see them the same way a teenager in that day-and-age would. But if given a little bit of thought, they can teach children for centuries. 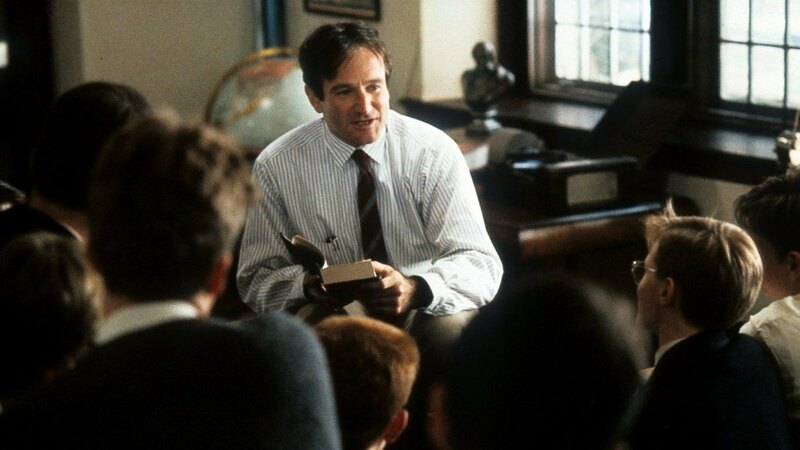 ‘Dead Poets Society’ is one such timeless gem. It’s the story of a group of students attending a boarding school. But it’s more importantly about the way a teacher shows them how to live a life. The movie accomplishes two simultaneous goals. 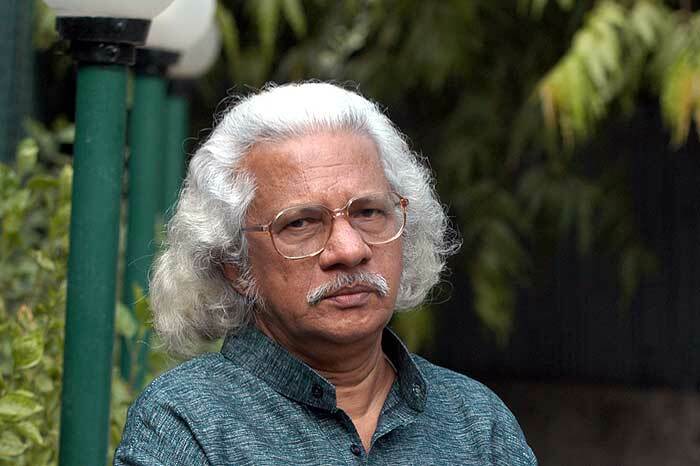 Firstly, it comments on the education system, the routine lives we accept to live and the pressure that we succumb to. It juxtaposes the banality of the traditional school teachers and their method with our routine lives. The education system is portrayed as a factory to produce well-programmed robots. This is brilliantly shown in the montage of teachers in class near the beginning. And then the barrage of boring lectures is contradicted by the lively conversation that Mr. Keating, played by Robin Williams, inspires. The students, used to the humdrum teaching methods, are awestruck by the stark contrast. But with time, their shock subsides and they ingrain the thoughts he explores. And secondly it brings art and poetry and life in front of the layman and explains its beauty in simple yet effective terms. With every minute, the movie grows more personal. Every piece of dialogue now feels like it was directed at you. 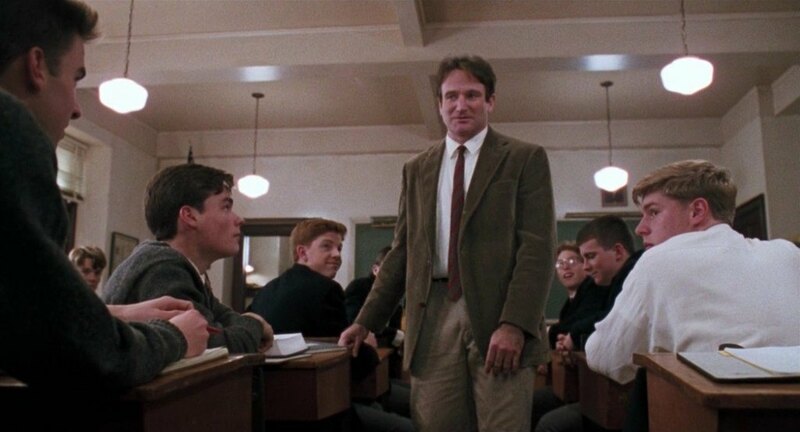 Mr. Keating, on his first day of teaching tells the story to seize the day in one of the most inspirational line in movies, “Carpe diem, seize the day. Gather ye rosebuds while ye may.” He teaches them that every moment must be treasured in the present rather than reliving memories once the moment has passed. Mr. Keating teaches us about poetry and language as a metaphor for everything truly beautiful in life. The ease with which he quotes lines from great artists and the appropriate time at which he does invokes a sense of artistic beauty. Even a person, never interested in art, will walk away from the movie feeling more poetic. 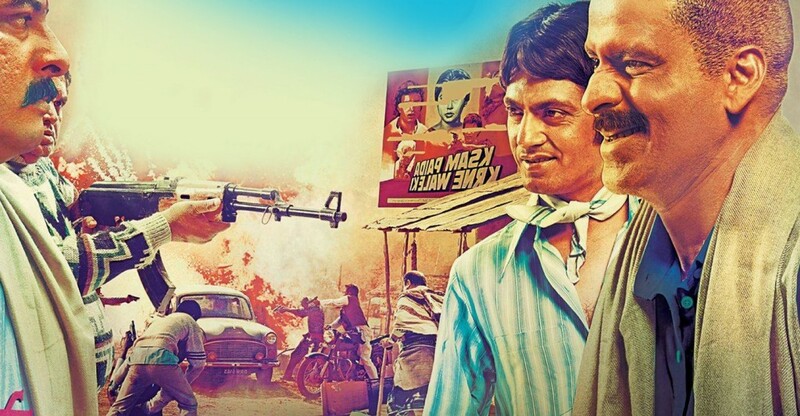 The different story elements form a net to keep the beauty of words at the heart of the film. 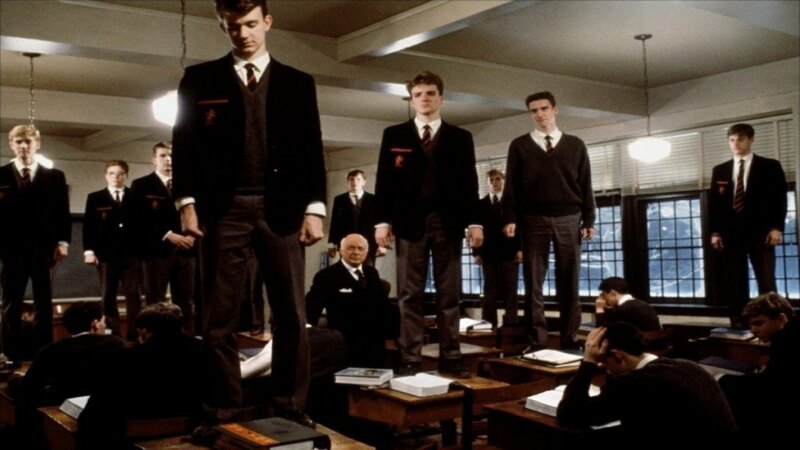 He makes his students literally change their perspective by standing on a table to see things differently. The group of students all react to their radically different teacher very differently. Some like Dalton express their inner selves rather than an extroverted shell of themselves. Some like Todd internalize the lessons. Todd starts out as shy, introvert but Mr. Keating teaches him to speak out and express himself. Keating brings out the best out of him in an intense scene bringing out poetry from within him.. Some of them like the students outside of the main group remain fairly impenetrable. The most important though is Neil Perry. He takes the words very literally but as a result slowly realizes the meaning hidden in between the lines. He seizes the day by auditioning for a play despite his strict father’s orders to stay away from non-academic activities. He explores a different facet of himself and in the process becomes more like the person he is on the inside. The joy he feels on the stage is very obvious and apparent when we see him perform. He finds himself. While he had been dealing with his father’s wishes and commands for his entire life, he could do it because he hadn’t yet found his calling. So when he does find it and he realizes his love for the performing arts, he cannot handle his father’s orders because they go against his newfound calling. Like Mr. Keating says, Neil’s actions at the end were not justified and the act of committing suicide is never ever the way out but it goes to show the intensity of his passion for acting. Read More: ‘The Shawshank Redemption’ is the Highest Rated Movie on IMDb. Here’s Why.